The EMU Australia Piggy is a cute and fun children’s mid calf boot. With a textured upper and piglet features, they are lined with soft Australian Merino wool to keep feet warm and cosy all day long. The Little Creatures Piggy is a cute and fun children’s boot. Lined with Australian Merino wool to keep feet warm, they feature ears, snout and curly tail. 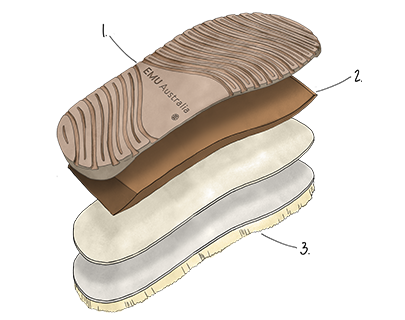 A faux pony hair upper adds texture while grip and cushioning comes from the sturdy and cushioned sole unit.